In the news this week, turns out anyone can be a spy. Your mom! A dog! Fictional creatures with no hands but human eyes! A new Edward Snowden report claims that the NSA used Angry Birds to collect personal information from smart devices. Rovio, creator of Angry Birds responded that they do not intentionally share information with the NSA although they do collect information to be shared with third party advertising networks. They will, "have to re-evaluate working with these networks if they are being used for spying purposes," according to Rovio CEO Mikael Hed. Nintendo's announced how they're going to respond to their low profit and forecasted loss for the fiscal year. CEO Satoru Iwata is taking a 50 per cent pay cut along with other executives. While they won't be making games for the iOS, they will be making playable ads. Plus, they'll take on licensing opportunities. Then one of the co-founders of game review site IndieStatik, Josh Mattingly, sexually harassed a developer on Facebook. He's since apologized, and Kotaku has an interview with the developer. Meanwhile Microsoft bought Gears of War franchise, as Epic Games moves further away from actual game design. Back on Facebook, King is accused of plagiarism and Zynga goes through another round of layoffs. Also, the Global Game Jam ran last weekend. 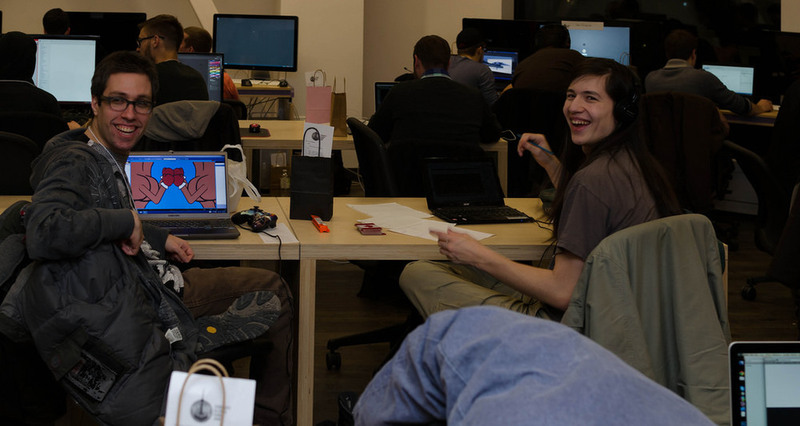 The Global Game Jam is a 48-hour game design session. Ideally you go in with a set of ideas, not much finished and come out with a basic game. Run internationally, George Brown College held the Toronto chapter this year, and the event was co-organized by Randy Orenstein. He joins us to talk about potential fires, intense sleeping arrangements and a wedding. Starts at 28:50. But on to Board Game Week. Colby Dauch, president of Plaid Hat Games, joins us to talk about Bioshock Infinite: Siege of Columbia. 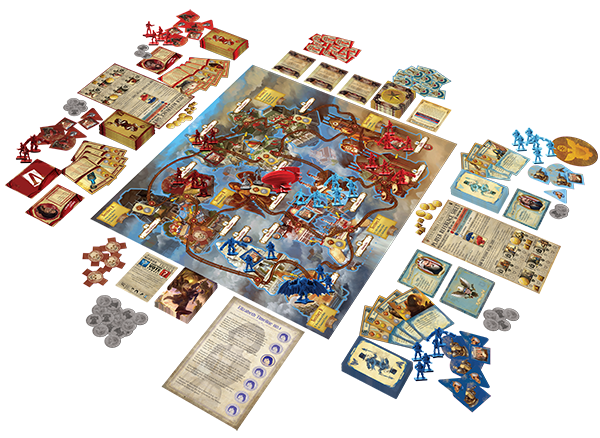 Dauch helped put together several critically acclaimed board games like Summoner Wars and City of Remnants, and is developing the upcoming Dead of Winter. He also worked for Milton Bradley for Heroscape. Dauch chats about the difference between board game design and video game design, and building emergent narratives. We also get round to talking about stories from his own time playing games, and the importance of social experiments. Polygon has a great article that fills the gaps of the actual game's history. Starts at 36:10. Note: Arman would like to apologize for mispronouncing everything in this episode. Plaid. Playd. Good grief. Joystick did a story on this back in 2012. Farhang Namdar then takes some time away from developing Divinity: Original Sin, to discuss building a Divinity board game. Namdar works for Larian Studios, and his last game was Divinity: Dragon Commander. 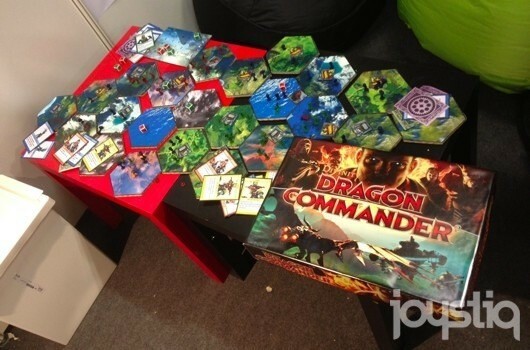 Dragon Commander has three levels of gameplay, a broad RPG, a tighter turn-based strategy, and a refined real-time strategy. Back when they were designing that Risk-esque middle portion, they decided to test it with a board game. Originally it was just a mishmash of parts from various other games, but it quickly became something unique. They were originally going to release as part of the limited edition, but those plans were shelved due to production costs. Namdar talks about how the board game helped them focus their mechanics and build a more interesting game. Starts at 48:30. Our music this week came from the Free Music Archive. We used the following tracks: Peter DiPhillips - Hedge Schools, Super Flower - Lonely Summer, Violetta Pivnkakkara - Kukka, Chuzausen - Raro Bueno. Our ending theme was King Sens by Combustion Lente from the Ontario Independent Music Archive.